You want to send an SMS campaign with the latest offer to your most active customers. So, you use ThinkAutomation to pull your database and extract the contact numbers of recent buyers. You can then create your SMS message and use ThinkAutomation to mass send it. ThinkAutomation provides a great platform for sending marketing messages via SMS. This includes bulk sales deals, segmented campaigns and personalised offers. You tell ThinkAutomation the ‘what, when, and who’ of your SMS campaign. From there, it pushes out the messages smoothly on your behalf – either as one step or as part of an automated workflow. Your HR team wants an automated way to handle absences. You use ThinkAutomation to set up an absence hotline, which employees can text to report off days. ThinkAutomation then picks up the messages and triggers your absence workflows to run. SMS hotlines are a quick and efficient way of handling inbound comms. Using ThinkAutomation, you can register a number as a hub to receive a specific type of business comms. Your audience can then text that number with the relevant update or information. ThinkAutomation will parse the messages, update your systems and run the relevant follow-up sequence. To avoid non-payment, you set up an ‘if’ rule for ThinkAutomation to SMS message a customer with a billing alert. ThinkAutomation monitors your customer accounts, and will then send out SMS alerts as a triggered response to payment due dates. As well as scheduled SMS campaigns, our software bots can also send your customers triggered, event-driven messages. This works based on ‘if this, then that’ type rules that you define within ThinkAutomation. You set the conditions, and ThinkAutomation pushes out the right SMS at the right time. You create a rule to send a post-call SMS survey. After a new call has been logged in a CRM, ThinkAutomation will initiate a text sequence. The customer’s responses can then be parsed and incorporated into additional workflow steps. SMS surveys are a handy way to track customer satisfaction. ThinkAutomation makes that process easy by triggering SMS feedback sequences in response to completed customer interactions. Surveys could request numerical input (rate your service from 1-10), or they could give a range of options (text ‘A’ for x). With ThinkAutomation, you’re free to design the workflows that work for you. A customer requests a password reset. ThinkAutomation sends a randomly generated password to the customer via email. Then, it sends a code to their listed mobile number via SMS which they must also enter to proceed. Data protection is of increasing concern to customers. Two-factor authentication adds an extra layer of security to the user’s data, helping to protect their sensitive actions. ThinkAutomation helps make the process easy and automatic. Acting on your ‘if’ rules, our software bots generate and send passcodes via SMS as part of two-factor authentication workflows. A customer submits an add-on request via your website. ThinkAutomation parses the web form and extracts the key details. Then, it pushes an SMS message to the designated salesperson containing the specific details of the request. ThinkAutomation can auto-send SMS messages to employees to alert them of opportunities, issues, and updates. That might be a rota change, a new lead, a system failure, or any other business event. This works using triggers: if this happens, send that SMS to this/these numbers. Your employees remain in the loop, via a channel that’s quick, convenient, and often more conspicuous than email. You have customers who often repeat the same order. (A takeaway, or a taxi, for example.) Rather than them having to launch your site and complete forms, the customer can instead text you with their order. ThinkAutomation will ask for confirmation via SMS, and then proceed to process. Traditionally, digital sales happen online via forms or within apps. SMS, however, can also be a handy ordering tool for repeat customers with lower-value items. ThinkAutomation can parse inbound orders no matter what the channel – whether it’s a form or an SMS. It will then run the relevant sales workflow to automate from order through to completion. You have a tech support SMS line for low-priority issues. ThinkAutomation will receive each inbound SMS, and parse it into the customer’s CRM records. Then, it can either push an auto-response in the event of an FAQ, or create a ticket in the event of an escalation. ThinkAutomation is great at reading and responding to messages. This means you can use it to create an efficient SMS customer service channel. So, our software bots can auto-respond to SMS messages, escalate to agents, and automate data processing. You design the SMS automation sequence, and ThinkAutomation executes it every time. You have a number of equipment repair technicians in different regions. When a customer sends a repair request, ThinkAutomation pushes a text message to the closest technician complete with all relevant details. SMS can be a godsend for logistics processes such as goods tracking, dispatch notifications and delivery updates. And ThinkAutomation can sit behind the scenes to push out all those SMS alerts. Our software bots integrate across your databases and systems. They monitor, track, and trigger into rule-based action. So, you can add SMS notifications into your dispatch workflows at key stages. You’re running a competition and asking entrants to text in their answers to a registered number. ThinkAutomation parses every SMS entry and extracts its details. It then creates a CRM record for each entrant, or updates a record for existing customers. Our software bots are made for parsing and processing. As part of this, they can extract key information from your SMS messages such as contact details and body text. ThinkAutomation then inputs this information into your database or CRM. Instead of manual data entry, our software bots enable automatic, accurate database entries. You have customers in multiple countries. ThinkAutomation helps you send SMS messages back and forth in the same language, while keeping your database and CRM records translated to a single language. ThinkAutomation can scan inbound SMS messages to detect the language used. If the language is not your native one, the bots can translate it. Translated content is then appended to the message and stored in your database. Plus, ThinkAutomation supports over 60 languages, so you can help customers across the globe. 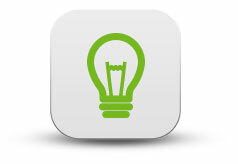 ThinkAutomation lets you build your SMS workflows, your way. There are no limits to the number of workflows you can create, or the number of steps you can include. Our workflow builder is built on a foundation of conditions, triggers, and actions. You set the conditions, and our software bots will do the rest. Next, the trigger will fire an action when the relevant event happens. This could be a new inbound SMS message, a system change or an account appointment. An action will then process and complete your first automation step. For example, this is where our software bots might push out an auto-response SMS, or update a CRM.